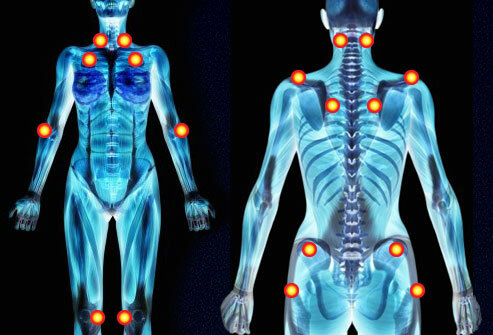 We offers breakthrough treatment for fibromyalgia. You don't need anyone to tell you about the difficult symptoms of fibromyalgia if you suffer from the pain produced by it. The deep aching that radiates, shoots, burns, and even gnaws within your body can be extensive, affecting areas above and below the waist, and frequently including both sides of the body. As if the markedly painful symptoms of fibromyalgia weren't enough, a disproportionate ninety percent of fibromyalgia sufferers also experience chronic fatigue syndrome, perhaps you may be one of them. This "double whammy" can result in your not only suffering from pain and fatigue, but also melancholy, headaches, numbness and tingling, dizziness, sleep disturbance, swollen feeling in tissues, stiffness, sensitivity to noise and stress, and cognitive impairment. If you are suffering from one, or both, of these two pernicious conditions, you may find it difficult to take part in even the simplest activities in life, and you may even be feeling depressed and defeated. The good news is that your chiropractor can help you. Chiropractic treatment has been proven to be highly beneficial in reversing trauma-induced injuries by reducing inflammation to the nerves in the brain stem and spinal cord that can cause pain, neuromuscular dysfunction, and fatigue. What do "trauma-induced injuries" have to do with fibromyalgia and chronic fatigue syndrome? The connection may surprise you. While the specific cause of these syndromes is unknown, current research has pinpointed traumatic neck injuries, like whiplash and concussion, for example, as risk factors for the onset of both fibromyalgia and chronic fatigue. And, here's the thing: even though the pain and fatigue generated by spinal injuries can be triggered immediately, often it can take quite a long time, perhaps months or years to develop. By the time fibromyalgia and chronic fatigue syndrome symptoms arise, these injuries may not be remembered. When it comes knowledge the spine and how to take care of it, your chiropractor is an expert. Chiropractic care has been proven to be highly effective in reversing trauma-induced spinal injury. See your chiropractor today to see if chiropractic treatment the pain and suffering you've been experiencing from fibromyalgia and chronic fatigue syndrome.